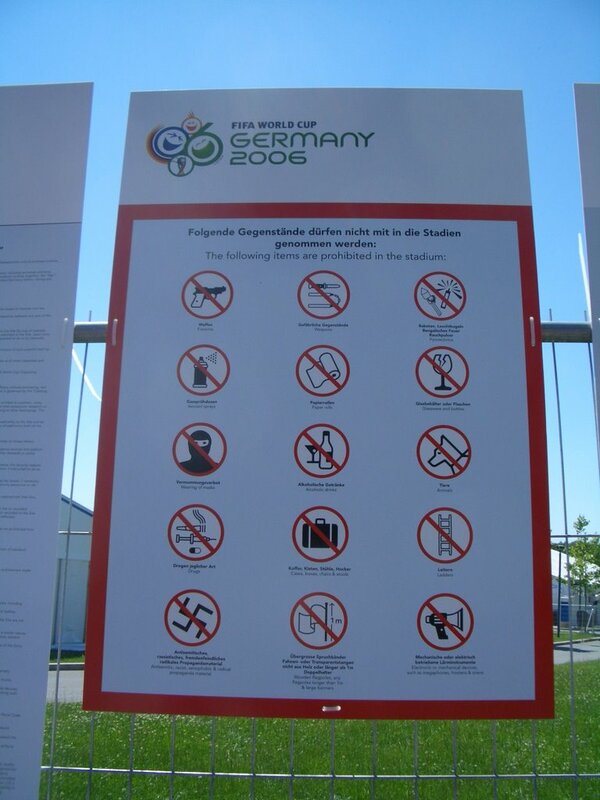 One of the nice aspects of the World Cup is that you've got a fair amount of leeway with what you can bring in to the stadium. For us, that meant a backpack, which you normally wouldn't be allowed to bring into most American facilities. You can also bring in huge flags, samba drums, trombones, elaborate Aztec headpieces, stuff like that. 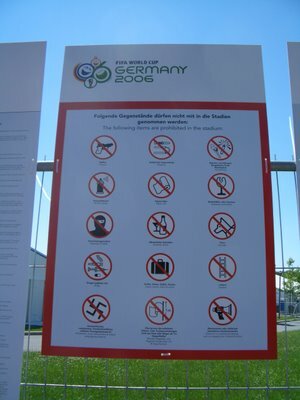 Two things that are prohibited, as we found out, are ninjas and Nazis (see the left column.) Officially those are bans on wearing masks and making any racist remarks, which I suppose cover ninjas and Nazis.